November | 2014 | Cooking With Mr. C.
3. In a large bowl, add potatoes, heavy cream, sea salt, black pepper and 1 cup cheddar cheese. 4. With a mixer, mix until creamy. 5. Put whipped potatoes in a baking pan. Spread out evenly. 6. Sprinkle 1/2 cup of cheddar cheese on top of potatoes. 7. Bake in oven for about 12 minutes. Serve hot. *Add extra sea salt if needed. 1. 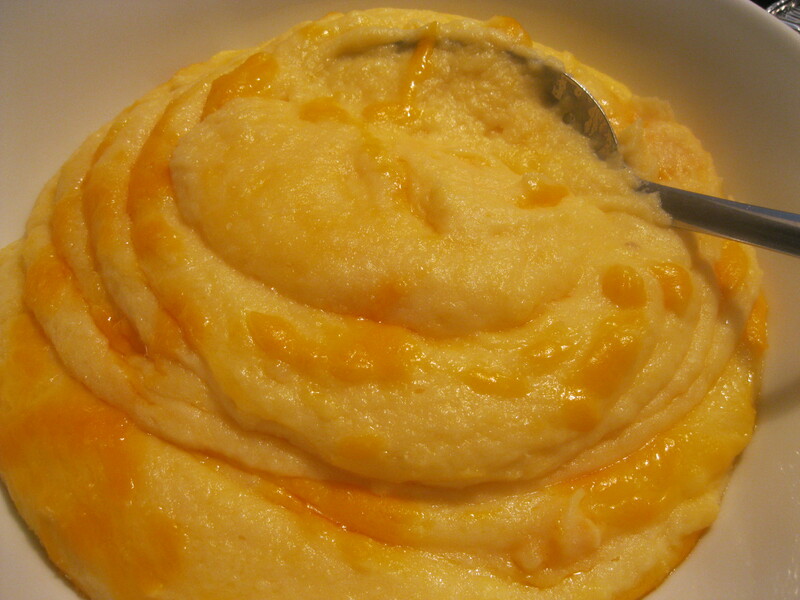 In a large bowl, mix corn syrup, brown sugar, melted butter, vanilla and eggs together. Mix well. 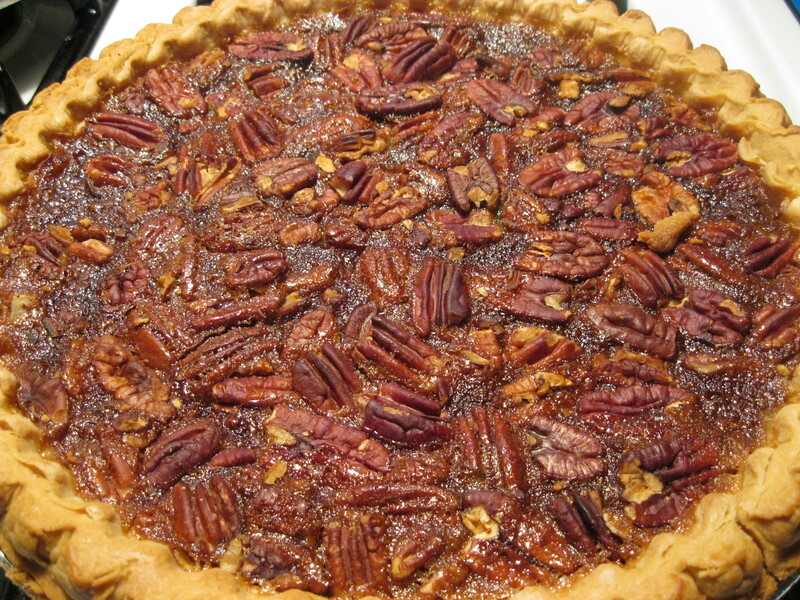 Then add pecan halves. Stir gently. 2. Pour filling into pie crust. Bake for 45-50 minutes. Cool completely. You may refrigerate after it is completely cooled. Serve with whipped cream on top if you like. 1. Combine sugar, cinnamon, salt, half a cup caramels and flour in a bowl. 2. Put one layer of dough in a 9 inch round pie dish. Arrange apples in layers . Sprinkle sugar mixture over each layer. Sprinkle with lemon juice and put pieces of butter on top of apples. 3. Put top crust over filling, and press edges together. 4. Cut a few slits in top of dough. 5. Bake for 45-50 minutes or until center slits seem bubbly with sugar. 7. With the remaining cup of caramels, melt in microwave. 8. 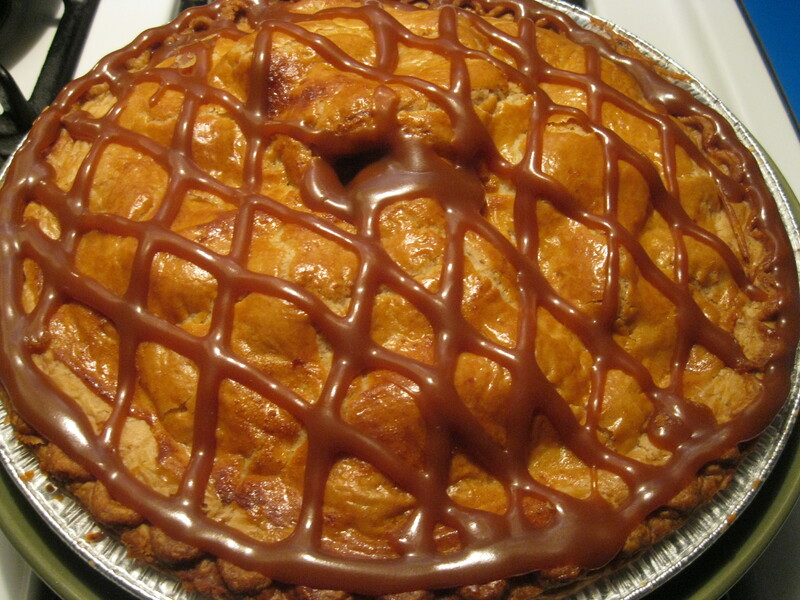 Drizzle caramel on top and around the edges of the pie. Let cool, then serve. *If you have a pastry bag or rolled wax paper with the tip cut off, you can make any design you wish. 1. In a large skillet, put 3 tbs. of olive oil. Brown garlic for a minute and add brussel sprouts. Stir. 2. Add another tbs. of olive oil and sprinkle with 1 tsp. of sea salt. Add 1 1/2 cups of vegetable stock and stir. Cook on a medium heat. 3. When vegetable stock begins to evaporate, add the other 1 1/2 cups of vegetable stock and mushrooms. Stir again. 4. As vegetable stock begins to evaporate, add an additional tbs. of olive oil and 1 tsp of sea salt. Stir well. 5. 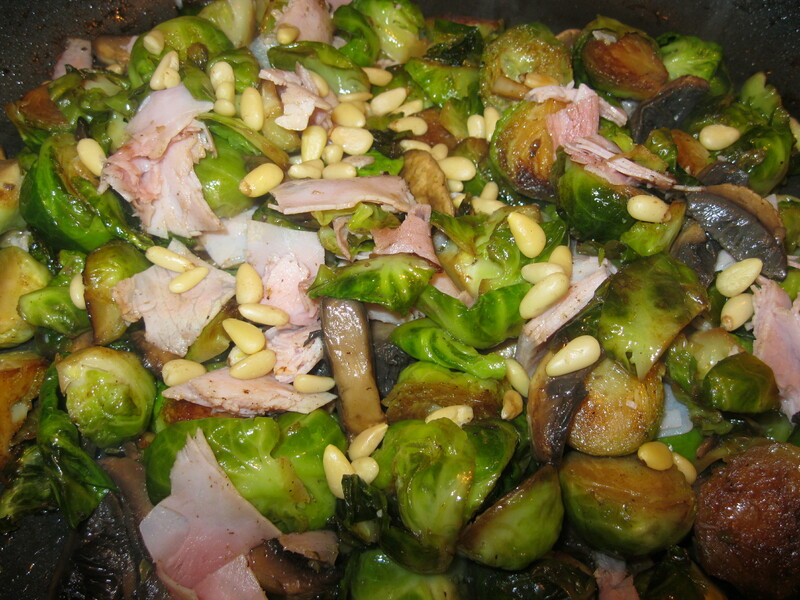 When brussel sprouts become tender and are starting to brown, add ham and pignoli nuts. Mix all together. 6. Cook for additional 3-5 minutes and serve. Serve hot. Brussel sprouts should be tender when serving. *Mushrooms are optional in this recipe.